IS IT POSSIBLE TO BE FREE FROM LIMITATIONS OF TIME? Have you found yourself trying to get the most out of a 24-hour day, but usually end up with more to be done – and more stress? A free talk entitled “Time is Not a Factor in Your Life” describes how to gain dominion over time by understanding better how you can live in the timeless, constant presence of the spiritual now. In the talk, Hohle shares some of the spiritual ideas he has employed in his healing work for others – and his own cross-country motorcycle trips – to break stressful limitations imposed by time. The ideas are based on the Bible and Science and Health with Key to the Scriptures by Mary Baker Eddy. “Time is Not a Factor” talk and discussion is free and open to the entire First Coast community on Saturday, November 10 at 3:00 pm, to be given at 2555 Old Moultrie Road, St. Augustine. The sponsor is First Church of Christ, Scientist St. Augustine. 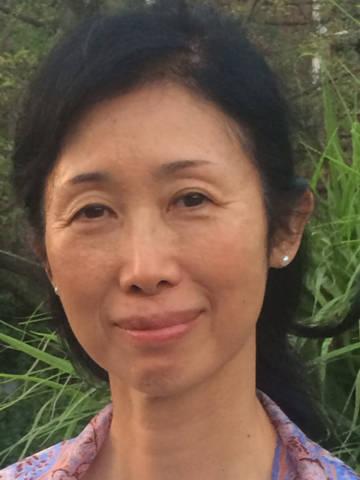 You’re invited to this inspiring talk on Sunday, April 30, at 2 p.m.
State College, Pennsylvania USA and Tokyo, Japan — Fujiko Signs comes from Tokyo, Japan and has a family, husband and two daughters working in the US. Prayer is practical and effective. Anyone can learn to apply the timeless laws of the Bible to the whole spectrum of human needs today. Come see what Christian Science is all about. 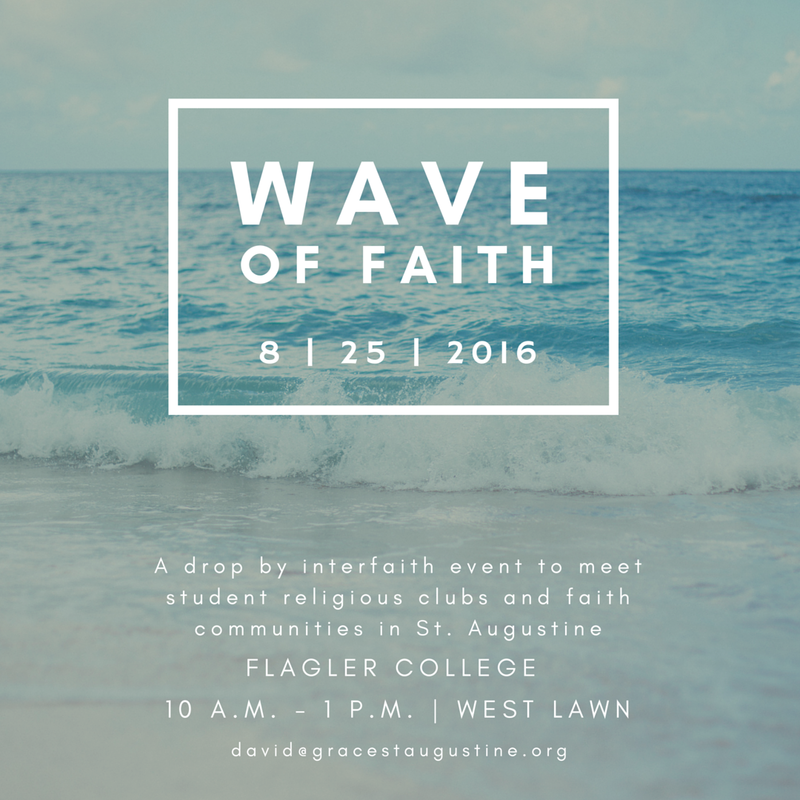 We hope to meet you Thursday, August 25th at Flagler College’s “Wave Of Faith” event! In the United States, the Department of Justice holds an annual ceremony in observation of National Missing Children’s Day. It is observed this year on May 25 to honor all those dedicated to protecting children and bringing them home. It is with great compassion that we encourage every effort to find lost children, no matter the time or place. Surely, as a global community, we can include these dear ones and their families in our prayers. In my own earnest prayers on this topic, I recall an experience a friend of mine shared at a Wednesday night church testimony meeting. She and her husband were raising their family on the outskirts of Mexico City, bordering undeveloped countryside. My friend had left her two sons at home with their household staff, including their beloved housekeeper and their much-trusted nanny, while she went to pick up a friend who was arriving at the train station. When she arrived home, she had walked in on a crisis: The younger son, age 5, had gone missing. The whole household, including the heartbroken nanny, notified everyone possible to discover his whereabouts. The mother said all kinds of things went through her mind – from the overwhelming fear of what might have happened to the outrage she felt at it happening in the first place. At once she began to pray. The Bible verse, “Be still, and know that I am God” (Psalms 46:10), was a firm directive. She tried to still her fears and prayed, imploring God, the Father and Mother of us all, to direct her to her child. She remembered the definition of God illuminated by the Discoverer and Founder of Christian Science, Mary Baker Eddy: “God. The great I AM; the all-knowing, all-seeing, all-acting, all-wise, all-loving, and eternal; Principle; Mind; Soul; Spirit; Life; Truth; Love; all substance; intelligence” (“Science and Health with Key to the Scriptures,” p. 587). The mother’s thought rested on the words “all-seeing” and she prayed to understand that God is aware of each of His children – not as fragile, vulnerable, lost, or invisible individuals, but as His spiritual ideas who are rightly identified, properly placed, and perfectly safe within His complete control. There was no mystery within divine Mind. My friend then recalled this statement of Mrs. Eddy’s, that God’s ideas, His children, “cannot get out of the focal distance of infinity” (“Miscellaneous Writings 1883-1896,” p. 79). It became clear to her that her son could not be outside the focal distance of divine, infinite Love. 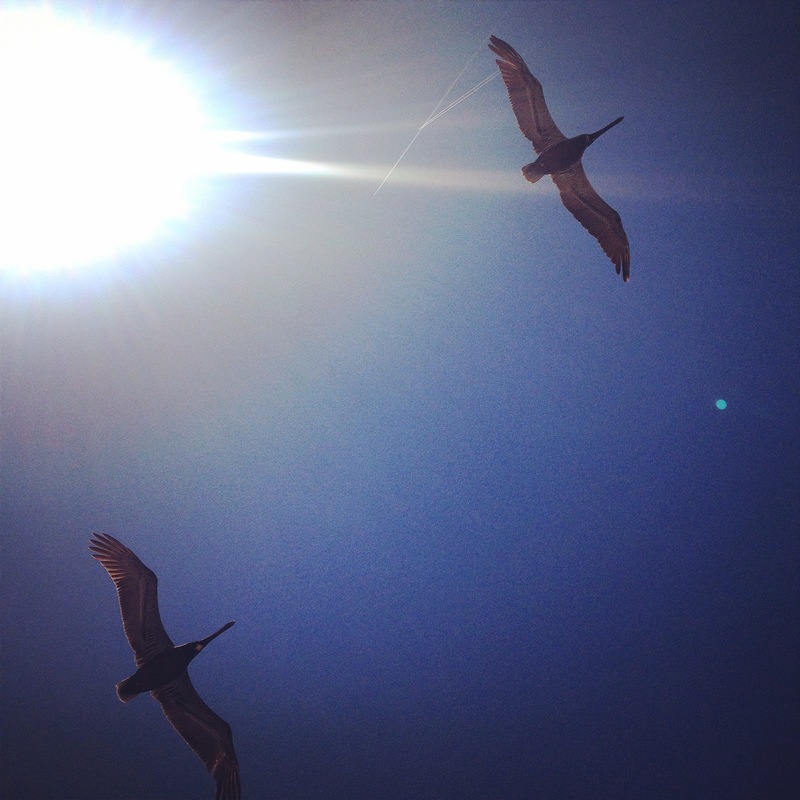 Therefore, he could not be lost in infinite Mind’s total allness and goodness. Within moments, the mother, praying urgently with these reassuring eternal truths of God’s complete knowledge of each of His children, said the idea specifically came to her to get in her car and start driving. She knew this was pure guidance that came from God, and she trusted and listened for divine direction as she drove quite a distance from her home. During the drive she felt impelled to turn down a small dirt road, and there was her young son, alone. The curious little guy had slipped out of the house to investigate what surveyors were doing down the street. When the men started joking with him, he followed along for a significant distance. He then decided to explore an ancient cemetery. 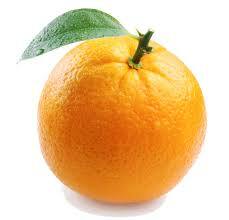 You can only imagine their mutual heartfelt embrace and my friend’s overwhelming gratitude to God when they reunited. Never out of the focal distance of divine Love is a spiritual fact we can affirm in our prayers for every child on this planet. Let’s pray with the inspiration of divine Love to aid the cause of bringing each missing child safely home. St. Augustine, Florida: Can there really be a science to Christianity? International speaker, Mary Alice Rose, will present a talk titled, “The Science of Christianity” on Saturday afternoon, April 2nd at 3 p.m., in the First Church of Christ Scientist auditorium, 2555 Old Moultrie Road, St. Augustine, Florida – free of charge and open to the public. Rose’s interest in science and technology led to a 20-year career in different areas of applied physical science. Her work ranged from a meteorologist for the National Severe Storms Laboratory to a manager developing the ground system for the Hubble Space Telescope. As interesting as her career was, Rose found that she wanted more time to focus on her most rewarding scientific endeavor: exploring her relationship with God. Rose’s ideas are based on the teachings of Jesus as recorded in the Bible, and as discussed in Science and Health with Key to the Scriptures, by Mary Baker Eddy. In 2002, she made the transition from manager, engineer, and earth scientist to the full-time ministry as a Christian Science practitioner. She is now an authorized teacher of this Science and a member of the Christian Science Board of Lectureship. 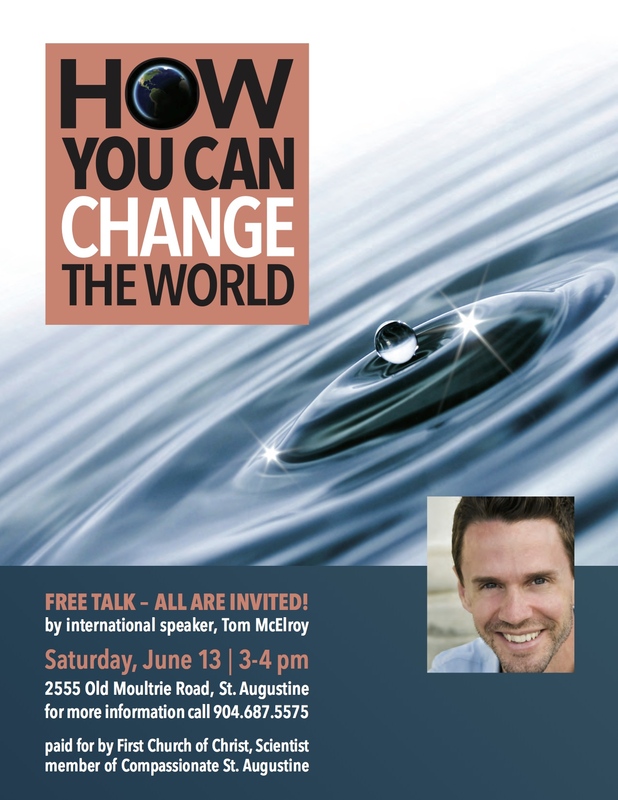 Join us for this inspiring lecture ~ Saturday, June 13th at 3pm. What does it mean to be simply healthy? Bob is the media spokesperson and legislative advocate for Christian Science in Florida. 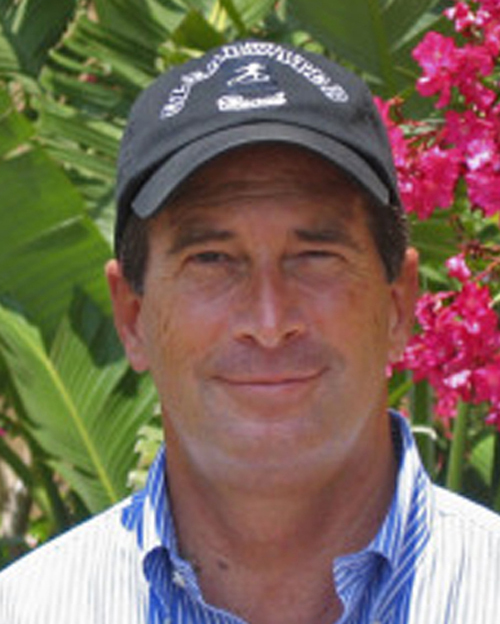 He is also a practitioner of Christian Science healing and a health columnist. Bob asks questions about health and answers questions about Christian Science. What makes us and keeps us healthy? Are there simple, timeless ideas that establish and promote health? Where do we find them? Here, we share the link to his site – a place to ask questions and explore answers.